We play the sport and have noticed that most players drag larger and heavier bags than they truly need. Too large of a bag flops around unless it is filled and is often too heavy when full. You're going to play hockey, not going camping! 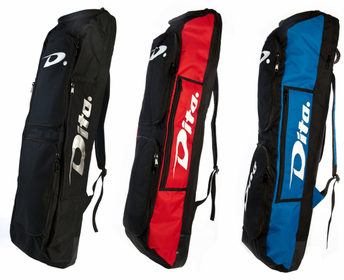 We designed the USA Right Size Bag because people who play with Dita are smart enough to carry what is needed.